This is a commission I have been working for quite some time. 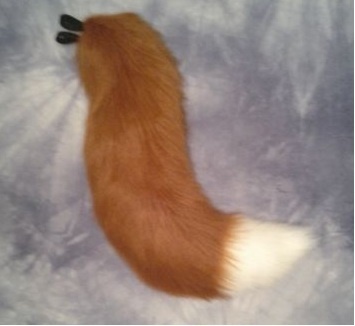 It is made with a thick 3 inch rust fox fur and has a 3 inch ivory fox fur tip. The tail is about 27 inches long and about 18 inches circumference.